 LEED/Green Building - Permafloors, Inc.
Use materials with recycled content such that the sum of post-consumer recycled content plus one-half of the pre-consumer content constitutes at least 10% (based on cost) of the total value of the materials in the project. LEVELROCK Green Floor Underlayments contain recaptured gypsum, a byproduct of emissions at coal-fired utility plants, contributing to pre-consumer recycled pontent of 94% and are manufactured in Gypsum, OH and Baltimore, MD. Use materials with recycled content such that the sum of post-consumer recycled content plus one-half of the pr-consumer content constitutes 20% (based on cost) of the total value of the materials in the project. LEVELROCK SRM-25 sound reduction mat, SAM-N12, SAM-N25, SAM-N40, and SAM-N75 sound attenuation mats and SRB sound reduction board contain recycled materials contributing to pre-consumer recycled content of 40% or more. Use building materials or products that have been extracted, harvested or recovered, as well as manufactured, within 500 miles project site for a minimum of 10% (based on cost) of the total materials value. If only a fraction of a product or material extracted/harvested/recovered and manufactured locally, then only that percentage (by weight) shall contribute to the regional value. Use building materials or products that have been extracted, harvested or recovered, as well as manufactured, within 500 miles project site of 20% (based on cost) of the total materials value. If only a fraction of a product or material extracted/harvested/recovered and manufactured locally, then only that percentage (by weight) shall contribute to the regional value. LEVELROCK floor underlayments are jobsite mixed (defined as the manufacturing location for MR %) and made with locally obtained sand and water which can contribute to this credit area. These credits refer to materials that contain low volotile organic compounds (VOCs). All LEVELROCK products have low VOCs. LEVELROCK 2500 green, 3500 green, and RH green, contain zero VOCs. EQ 3.1 Credit's intent is to encourage the reduction of air quality problems during the construction/renovation phase to help sustain comfort and well-being of construction workers. EQ 3.2 is aimed at the reduction of air quality problems that could arise for the building's end users. As part of the plan and action of this credit area, the use of LEVELROCK floor underlayment products can contribute by providing materials that contain up to 33% less water than competitive underlayments contributing to a lower relative humidity as well as reduced drying time of the underlayment which allows for the construction schedule to be maintained. LEVELROCK floor underlayment products contain low VOCs. This credit addresses acoustical performance in schools and learning areas. Many people may think that good acoustical practice is standard, but in fact many baseline designs often do not meet the minimim requirements of LEED. LEVELROCK floor underlayment along with LEVELROCK sound board and sound mat options will contribute to the STC and IIC performance of a floor/ ceiling assembly. Floor/Ceiling sound test results and information is available in USG system brochure Poured Cementitious Floor Systems (SA305), or go to http://www.usgdesignstudio.com/ floorselector.asp to select a system for your application.